This is one of those magical dinners that happen sometimes. You aren’t sure what to make, so you just start cooking, and about halfway through the meal prep, it comes to you. 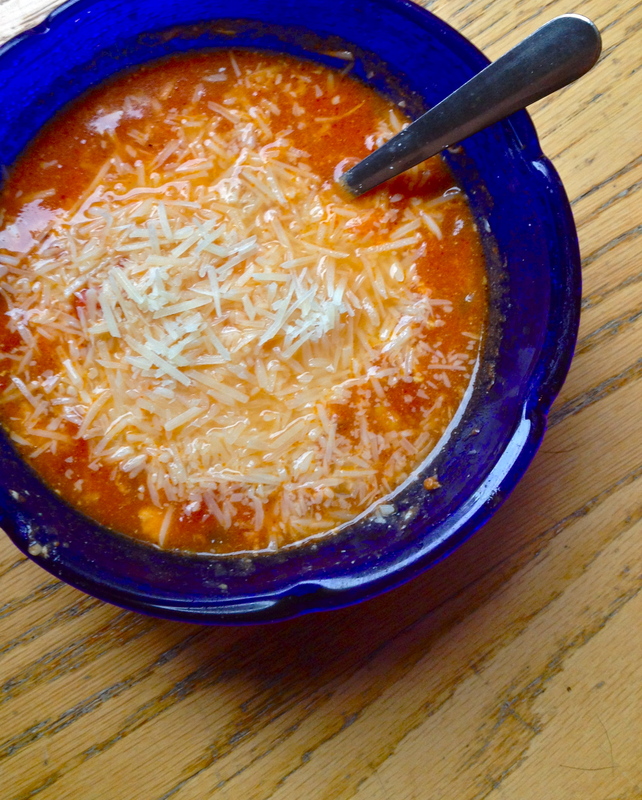 The night I made this, I had set out to make a vegetable-packed egg drop soup. But when I saw that the fresh veg we had at hand weren’t particularly thrilling, I raided the pantry. There, I found some inspiring cans of things, tomatoes among them, and altered our course to tomato soup, a la this recipe from 101 Cookbooks. 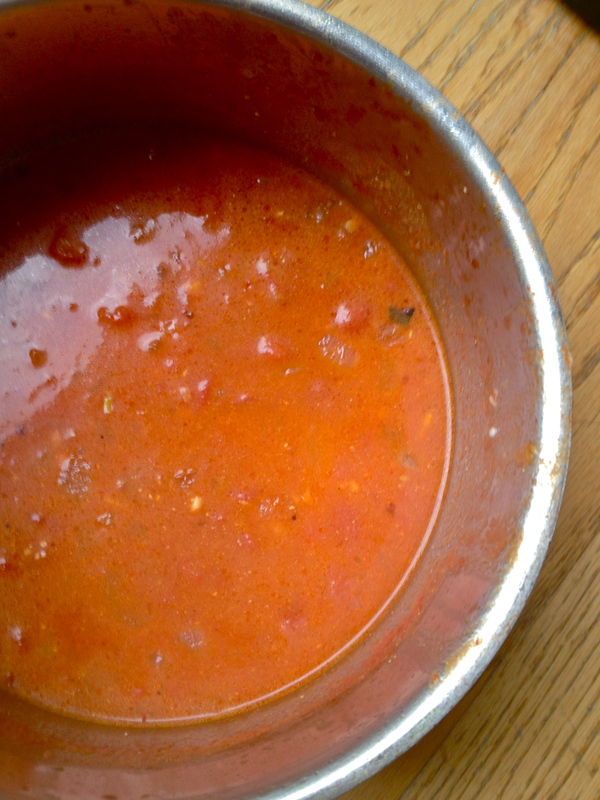 But lo, as I was opening the can of tomatoes, I had a culinary-spiritual-visitation from Nigella Lawson, who in her intervening wisdom reminded me of her eggs in purgatory recipe that I’ve been wanting to try. 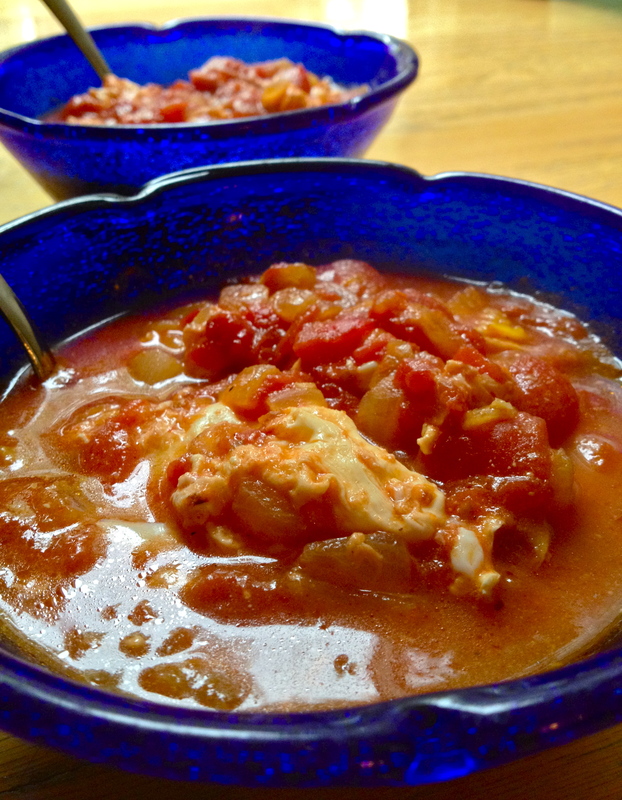 And so, long story long, this spiced Eggs in Purgatory Soup was born, and it was a delicious surprise. I had two big helpings and as I write this, I am stuffed. No regrets. Make this soon, folks. In a soup pot (or if you have them, individual skillets), heat olive oil and butter over medium and add onion with a pinch of salt. Cook, stirring occasionally, until onion is translucent and just starting to brown. Add the garlic, cumin, curry powder, and red pepper flake. 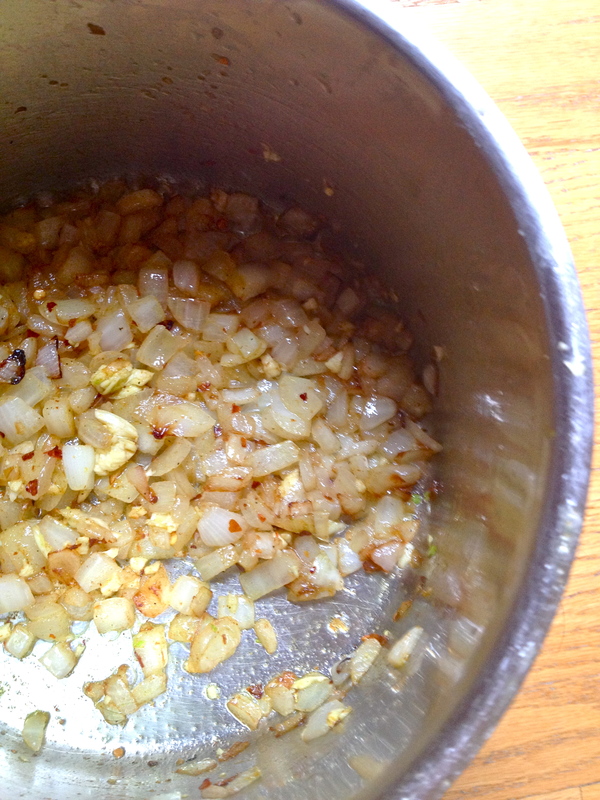 Stir in and cook a minute or two, until fragrant. Pour in the entire can of tomatoes and juice. Then fill the can up halfway with water and swirl to make sure you get all the juices out of the can, and pour in. 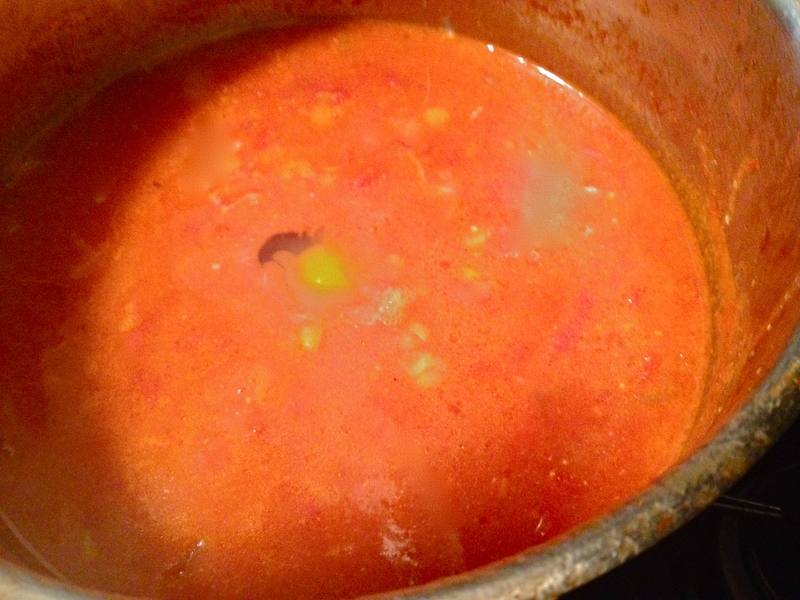 Bring to a boil and then lower to a simmer for 15 minutes. When the tomatoes have simmered, stir in the Greek yogurt and turn the heat down nearly as low as it can go – you want to see just the tiniest bubbles floating to the surface. Gently crack in the eggs, nestling them into the soup so that no eggs are touching. Don’t stir or agitate the soup as the eggs poach for a few minutes, until the whites are set but the yolks are still runny. Use a slotted spoon to remove the eggs to their bowls, and ladle the soup over the eggs. Sprinkle with Parmesan and, if you have it, fresh parsley (I was out, boo). Enjoy! And here is my second bowl. I’m a big fan of the Parmesan. Next Bacon, Bean, and Egg Skillet. 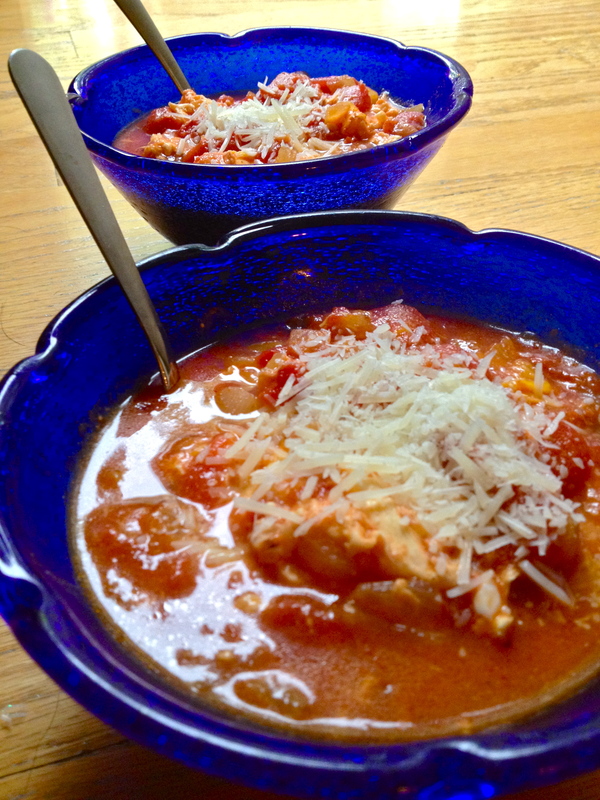 What a great idea to turn eggs in tomato sauce into a soup! I love those kinds of inspiration-brainwaves.